Venus Escapes, Venus Bay, Victoria. Information, Photos and Reviews. Venus Escapes is a place to escape the daily grind and re-awaken your senses. 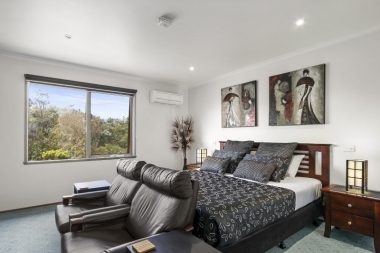 We are a blend of boutique Bed &Breakfast accommodation with 4 guest rooms with private ensuites, Day Spa Indulgence and a host for 1-on-1 and Group Retreats. Set on an acre of stunning Victorian bushland, between an expansive beachfront 300m from our door and Cape Liptrap Coastal Park, our grounds feature a 2 level guesthouse for adults only, guest lounge & breakfast area, licensed bar and day spa facilities. 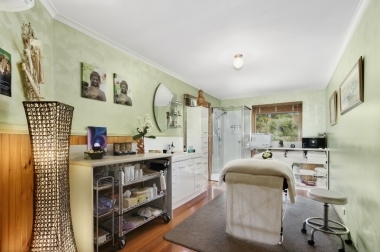 Just 2 hours from Melbourne CBD and 300 metres from a luscious stretch of stunning South Gippsland beach, we offer indulgence through holistic and healing therapies, deluxe "hotel-style" accommodation for adults only and stunning nature, just at our doorstep. Nobody has reviewed Venus Escapes yet, Be the first. You are submitting a booking enquiry. 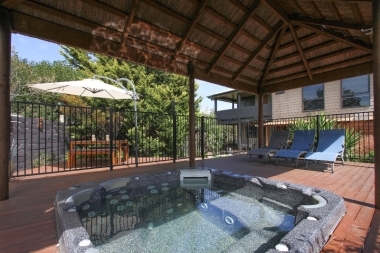 Venus Escapes will then contact you by email with details of availability and prices.